Here is a list of all the stores in the country that are participating in Black Friday. There are many stores with great Black Friday finds on apparel, toys, and items for home. If you are want to buy in the US, MyBroadband has a nice guide on how you can do it. I will keep updating the list as the specials come through. Amazon. Black Friday is almost here, but the company didn't want you to wait until the day after Thanksgiving for Black Friday deals, so they kicked off the savings a little early. They are counting down to the big day with even more deals all day, every day. You'll find Amazon's fantastic early Black Friday sales on their site. Samsung. The countdown has started to Black Friday and it’s is coming to Samsung Stores! Prepare yourself for great offers, with amazing value adds. From the World’s No.1 selling TVs*, to cutting-edge Smartphones and intuitive home appliances. Get there early to get the best deals as stocks and offers are limited! 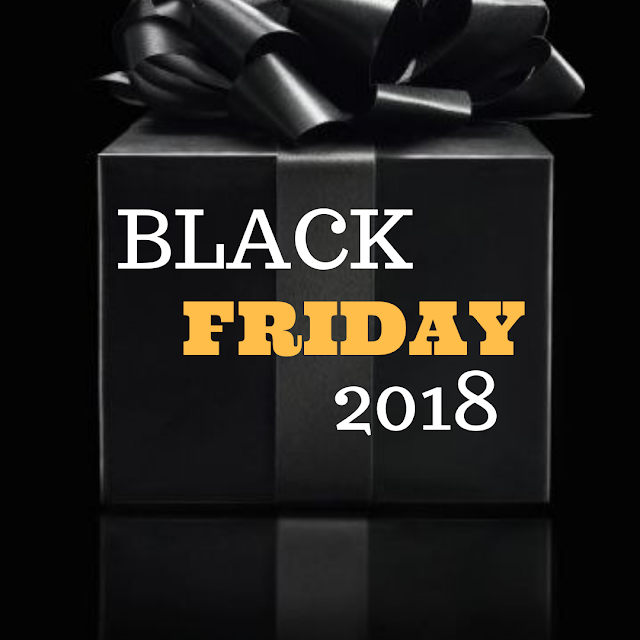 Black Friday deals can be shopped at The Foschini Group brick and mortar stores, as well across 11 stores in the TFG eMall - @home, Anatomy, Duesouth, Duesouth Escapes, Fabiani, Foschini for Beauty, hi, Markham, Relay Jeans, Sportscene, and Totalsports. With checkout taking place in one bag. Clicks has been running their Black Friday sale online since early this week as a build-up to Friday. Their Pre-Black Friday Extravaganza is from 16 November to 22 November (online only), and continues to Black Friday weekend, in stores and online, and concludes with Cyber Week from 25 November to 2 December (online only). The deals are exclusive to ClubCard members and you will need to sign up. The company has also hinted it will be running a Facebook event with exclusive deals.There are plenty of deals on small appliances on offer. Boardmans is offering up to 50% off on selected items from Defy to Russell Hobbs products in their Black Friday sale. Woolworths is participaticing for the first time in the Black Friday sales. They already launched daily online deals in the run-up to Black Friday. You can get up to 50% off selected fashion, beauty and homeware. Toys R Us and Babies R Us will be running deals on the top brands with up to 70% off. Their stores will be open from 8am till late. In addition, Babies R Us will be offering deals on a wide selection of items. Dischem Get the latest news and the best offers. Checkers. Get up to 50% off at Checkers stores nationwide on Friday. The supermarket’s Black Friday catalogue is out with a few items. This Black Friday, you could WIN 1 of 10 #CheckersBlackFriday vouchers worth R5000 each. To enter, sign up below and you’ll also be the first to know when our deals are released! Ts & Cs apply. Travelstart Black Flyday is coming soon! From 23 to 26 November, expect jaw-dropping offers on flights, cars and accommodation, plus we’re giving away free flight vouchers to make this sale even better–see below to claim yours! These vouchers can only be used on Black Friday (23 Nov), while stocks last. Don’t book your holiday the hard way, book it the Travelstart way! Cyber Cellar. Do not miss out on some of the greatest deals of the year - make Cybercellar your go-to for sweet Black Friday buys. You will have the opportunity to stock up on Christmas goodies to get you ready for the upcoming festive season! Bid or Buy. Up to 70% off tech and other products.Items featured in BidorBuy’s Black Friday sale include: smartwatches, Xbox One Elite consoles, baby travel systems, cookware sets, and handbags. Discounts in BidorBuy’s Black Friday and Cyber Monday two-week long sale offer up to 70% off on selected products. Specials will be available on the company’s desktop site and apps for Android and iOS. Mr P Home. Mr P Home is offering a Black Fiveday event, giving shoppers discount vouchers for their online purchases until 24 November. They will have promotional Black Friday offers on 25 November, and will also be offering online specials on Cyber Monday, 28 November. Wimpy, get the latest Wimpy deals & specials on their iconic range of coffees, breakfasts ... up with our #Buy1Get1Free special #BlackFriday. Spec Savers. They is offering up to 60% off glasses this Friday. Sign up for their online promotion on their website. Le Creuset . They are promoting 30% off on selected Black and Cotton iron, stoneware and silicone products. The sale is available both online and in-store, and is on from 25 to 28 November. CNA Discounts on stationery, tech and other products. Game Store. Game is having their Black Friday sale for one day only. Don’t forget to also check out their Cyber Monday sale, which takes place on Monday 28 November for one day only. Hi-Fi Corp is running with daily deals as well as a week-long catalogue. None of the pre-Black Friday deals will be repeated on the Black Friday, so if you see something you like get it now. Take a Lot Blue Dot Sale runs for five days with discounts on Black Friday, the weekend after, as well as on Cyber Monday and "Takealot Tuesday". Some products will be discounted by up to 60%. Pick n Pay has already launched early Black Friday deals online in Gauteng and Western Cape. For coffee lovers, I saw Nescafe Gold 200g coffee for R60, which is usually priced R99.99. Other Black Friday deals will include discounts on TVs, washing powder and irons. It is also extending its trading hours on Black Friday (check in store for details). Superbalist has super-sized its 2018 Black Friday sale to run for five days with deals of up to 70% off selected items. Their deals start on Black Friday and run till Tuesday 27 November. Join the Superbalist Showdown Facebook event or sign up to the early bird alerts to be the first in line. Homechoice. The Black Friday sale is here! Get up to 80% off homechoice clothing, footwear, handbags, bedding, luggage sets and more while stocks last. The Homechoice Black Friday sale is now on according to their website. Note that stock is limited. Zando got an early start to Black Friday, and has been loading daily deals for the past several days. Up to 90% off + Extra 10% off with Visa and Mastercard checkout on offer on selected items, you do not want to miss out. You can shop their women and men’s clothing deals directly. Emperors Palace has great deals of up to 50% off hotel stays – simply book online! Vodacom Black Friday & Cyber Monday Cellphone Deals. Ridiculous savings, get your Black Friday and Cyber Monday Deal Now. Discounted prices and a FREE R10 000 Online Educational voucher with every deal purchase. Premier Hotels & Resorts will be offering incredible discounted rates for Black Friday. You can get an astounding 50% off any weekend booking in 2019 at the popular hotel group. The Black Friday sale will run from Wednesday 21 November until midnight on Sunday, 25 November. The offer will be available for all weekends in the period between 1 January and 31 December 2019.The offer applies to accommodation only and is redeemable only when booking a minimum 2 night stay, via the Premier Hotels & Resorts website. All African Books is an independent, catering for a niche market looking to buy and support African Literature. They currently have a clearance sale. Only a few books left, get them while stocks last! Edgars is counting down to Black Friday. CNA you can sign up for the newsletter to get Black Friday Weekend offers delivered directly to your inbox. RedSquare, South Africa’s leading fragrance, make-up, skincare and perfume store. Offering the widest range of branded beauty products in 49 stores and now online will be hosting their BlackFriday specials too. Boardmans, your home specialist store has the hottest seasonal trends, the widest range of international brands and great value. They have sale of up to 30% on everything. With regards to safety, shoppers should be aware that cybercriminals will also be looking to benefit from the Black Friday online boom. The normal guidelines of good sense and logic should apply, but you must be even more vigilant than usual during the week leading up to (and following) Black Friday.